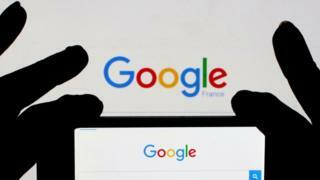 A Google training exercise that went wrong meant a dummy advert was placed on a “huge number” of webpages and apps, the Financial Times has reported. The mistake meant a blank yellow rectangle was active on the sites and apps for about 45 minutes on 4 December, it said. The ad was only visible to people in the US and Australia. The mistake happened when trainees were being shown how to use Google’s in-house ad placing system. The ad was sent out because one trainee “went further than intended” and submitted a live order into the advert buying system. The advert was placed at a far higher rate of return than any other ad and was routed through several third-party exchanges, so it reached a wide audience. “As soon as we were made aware of this honest mistake we worked quickly to stop the campaigns running,” said Google in a statement. It added that it would “honour” any payments to publishers which they incurred as a result of the mistake. The exact cost of the error has not been made clear but the FT speculated that it would cost Google about $10m (£7.9m) in fees and clean up costs to rectify it. Google said it would put controls in place to prevent the mistake being repeated.